Do you find yourself considering quitting your doctoral program? Are you overwhelmed trying to find time to fit work on your dissertation into your daily life? Do you find yourself neglecting other areas of your life and focusing solely on your dissertation? Do you ever feel like you’ll never complete your dissertation? Have you wondered if being “ABD” would be a better option? Completing a dissertation is unlike any endeavor ever experienced. Although doctoral students are trained in research and scholarly writing, it is often aspects such as time management, organization and maintaining motivation which hinder the completion of their dissertations. Of the 30% of doctoral students who end up opting for the ABD (all-but-dissertation) approach, many state that life gets in the way and they just get too tired to finish. In addition, unlike class assignments with deadlines and grading, the dissertation is completely self-directed and, therefore, the completion timeline can get longer and longer. Doctoral students spend thousands of extra dollars in tuition, dragging out the dissertation writing process, due to these reasons. Working with a dissertation coach, like working with a personal trainer in a fitness program, provides you with accountability and knowledge. 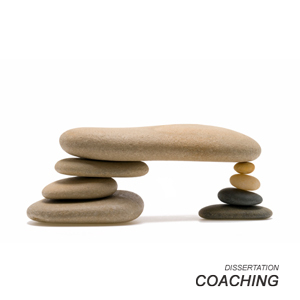 The coach meets with you on a regular basis to help you stay to your to designated timeline, as well as provide strategies to balance life and effectively manage the dissertation development. After years of coursework, don’t you owe it to yourself and the loved ones who have supported you through this goal, to get it done! A dissertation coach can be a valuable tool to do this. WHERE CAN I MEET WITH MY DISSERTATION COACH? Depending upon the needs, preferences and schedule of the individual or team, coaching can be accomplished in a variety of ways: in-person, on the Internet (Skype, IM, E-mail), teleconference, telephone or through a combination of these methods. Do you find yourself setting professional goals but not following through on achieving them? Do you have trouble getting organized in your daily work schedule or with professional deadlines and projects? Do you find yourself considering quitting your doctoral program? Are you overwhelmed trying to find time to fit work on your dissertation into your daily life? Do you find yourself setting goals but not following through on achieving them? Do you have trouble getting organized?